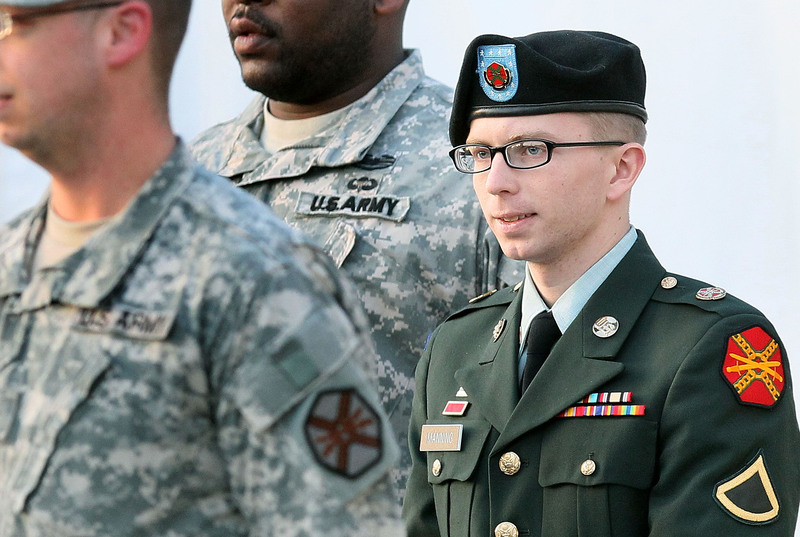 Three years after his original arrest, and eight weeks into his highly-publicized trial, Wikileaks suspect Bradley Manning will finally hear a verdict in his military court martial on Tuesday. The judge presiding over his trial, Army Col. Denise Lind, reportedly reached her decision over the weekend and will make the announcement in court tomorrow. The question at stake is whether or not Manning willfully violated the Espionage Act, a crime punishable by up to a lifetime in prison without parole. Manning's military prosecutors hoped to prove that he was guilty of knowingly "aiding the enemy" when he leaked over 700,000 classified military files to transparency-promoting website Wikileaks. His defense, meanwhile, insists that Manning was "young, naive and good-intentioned" when he made the choice to leak the documents. At the beginning of his trial, Manning was given the option to either have his fate decided independently by a judge or by a jury of his peers. He chose the former, meaning Lind will appear alone in court to announce her decision at 1 PM ET tomorrow. Manning has already pleaded guilty to 10 of the 21 counts of which he is accused. If his conviction is limited to only those 10 counts, he would face a maximum of 20 years in jail. He maintains his innocence on the most serious charges. Once Manning's verdict has been announced, the sentencing phase of the trial could begin as early as Wednesday.